While Irving has the eateries of Dallas and Fort Worth to support its restaurant infrastructure, it can also boast a good number of reputable dining options and impressive restaurants itself. 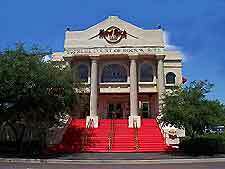 Besides the regular American fare on offer here, the city has an impressive selection of foreign eateries. Hotels here offer some of Irving's best cuisine and restaurant facilities are open to both residents and non residents. 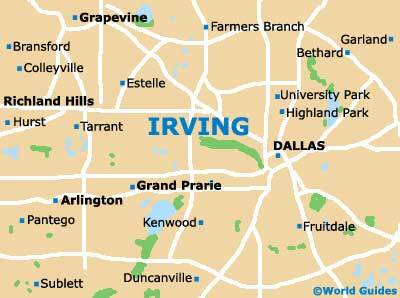 Irving is not especially popular as a tourist destination, so visitors won't necessarily find a glut of eateries catering to the whims of those opting for irregular dining times. However, it is a regular US metropolis by all accounts and as a rule its restaurants and diners conform to those that are typical of other big cities. As with all US cities, there are some 24-hour diners in Irving that provide round-the-clock sustenance. Irving has a selection of drinking venues spread across the city; however, areas such as Airport Freeway and North MacArthur Boulevard are good places for visitors to head in order to guarantee finding a wide selection of beverages. 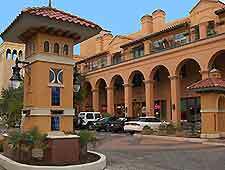 Las Colinas Boulevard is also home to a number of bars and restaurants serving alcoholic drinks. For early morning dining in Irving, residents and visitors alike have a good choice of regular American breakfast fare. Fast-food restaurants provide the usual high calorie offerings, while coffee and baked goods are available for the transient. Some hotels offer great buffet breakfasts, many on an all-you-can-eat basis. Lunchtime dining in Irving can be as simple as a sandwich and a salad or as elaborate as a three-course meal, depending on your requirements. If you are feeling adventurous, you will find a selection of foreign eateries open for lunch, while those looking for something fast and typically American have the city's fast-food restaurants to fall back on. Come the evening in Irving, grills and carveries are a good place to get an all-American steak or similar offerings. Meanwhile, the city of Irving has a good selection of international restaurants including Thai, Japanese, Mexican, Italian and French.